Ring News 24Boxing NewsFight Prediction: Joseph Parker v Dillian Whyte – Can Parker Rise Up From The Ashes? 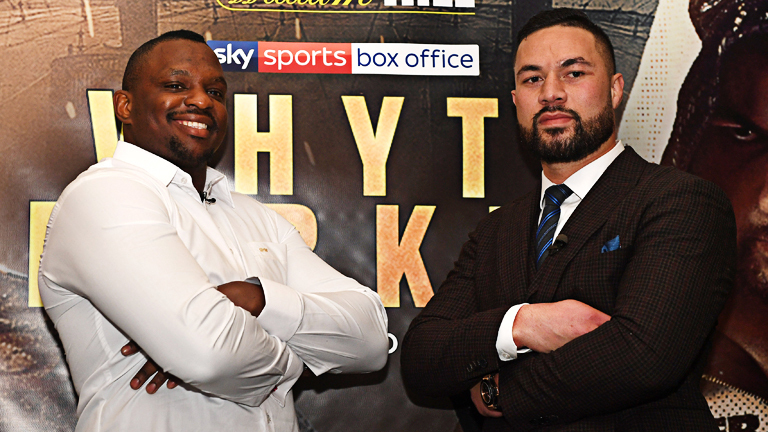 Fight Prediction: Joseph Parker v Dillian Whyte – Can Parker Rise Up From The Ashes? Dillian Whyte and New Zealander Joseph Parker will fight at the 02 arena in London on July 28th in a non-title heavyweight bout that will surely give the Brixton boxer a much tougher time than Lucas Browne did last time out. Whyte will hopefully get his long awaited crack at the WBC title held by Deontay Wilder if he comes through. 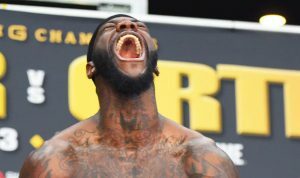 He has been in the mandatory position for the belt for a couple of months now but has already seen a chance taken away when the organisation saw fit to give Dominic Breazeale a shot due to his victory over Eric Molina. Whyte criticised the WBC for doing so, but the IBF have also expressed interest in granting him an opportunity to grab their version of the championship providing that he faced Kubrat Pulev first. But Eddie Hearn and Whyte seemingly still want to focus on eventually getting the fight with Wilder. Dillian Whyte is still waiting for his opportunity against WBC holder, Deontay Wilder. Parker will be going back to the lion’s den after his points defeat to Anthony Joshua in March. The fight failed to catch fire, although the unified heavyweight champion took care of business rather easily. The former WBO champion will obviously wants to get himself back into title contention with a win over Whyte. But he will have to do so in emphatic fashion, since he will be fighting away from home. The fight card is topped with current big British names such as Kell Brook and Dereck Chisora, while female sensation Katie Taylor will be defending her IBF and WBA titles against Kimberly Connor. Connor Benn will be looking to make a statement in his rematch with Cedrick Peynaud after being floored in the first round by him in their first encounter. Benn went on to capture a distance win but he looked more vulnerable than ever! 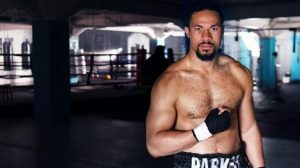 Can Joseph Parker prove that the UK isn’t a jinx for him? Joshua Buatsi will continue to build on his career with his seventh bout against Ricky Summers. The whole event will be screened live on Sky Box Office. Dillian Whyte looked impressive when he battered and stopped Lucas Browne inside 6 rounds in March. It was the first loss for the Australian in 26 fights, who could not land one serious punch and instead looked like a human punch bag. It is important to remember that it is likely that Browne made Whyte look better than he usually is. In contrast, Dereck Chisora gave Whyte hell for 12 rounds before controversially losing on the score cards. There is not much one can take from the Browne win. 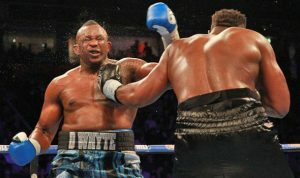 Whyte throws decent combinations but it has been shown that he can be countered as he wades in. He has a good jab in his arsenal when he wants to use it, which is not as often as I would like him to. A faded Robert Helenius still managed to score by going to the body, turning Whyte’s attacks against him on the odd occasion. There are times when Whyte also backs off for a little too long when he should be working to keep his opponents distracted. His accuracy can be questionable, which is something that Chisora exploited. But with 17 KO’s in 23 wins it is fair to say that Whyte hits fairly hard. Dereck Chisora capitalised on Dillian Whyte’s weaknesses. The Anthony Joshua fight is the one that showed how good Joseph Parker’s defensive techniques are. He is good at leaning away from punches and utilises good foot work. WIth height and reach disadvantages, Parker still managed to jab with the longer jabber at times and will have the edge in hand speed over Whyte. He can mix it to the head and body well, but all of this is only when he is at the top of his game. Questions remain about Joseph’s mentality and level of confidence after the Joshua loss. Will he be able to produce his best yet and overcome any demons from that night in Cardiff? It was not a bad defeat in terms of it being career threatening in any way, unless Parker views it as so. The 02 arena in London – site of next month’s fight. The Whyte v Parker fight is a case of Parker’s technique and skill versus will and determination. I am going to have to favour the Kiwi fighter to upset Whyte’s plans, as history has proven that a skillful fighter often triumphs over the one that prefers to use physicality over acumen. But it is important to remember that Joseph Parker will likely have more than Dillian Whyte as an opponent on the night, which is why he will have to put on a master class performance. I am confident enough that he can do that, but he will have to go the full stretch to do so.